Last June, the historic Vienna Ballhaus in the heart of Vienna was the venue for a new cigar event under the banner “Grand Cigar Edition 2018”. The organisers and hosts were the event specialists from the Art of Life, Günter Liska and Diana Millet, who also run the Art and Business Circle cigar club in Vienna. 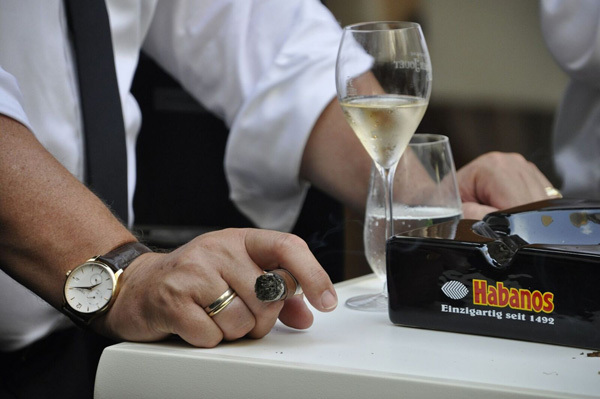 The idea for the event arose during a discussion about the introduction of an absolute ban on smoking in Austria. Thus, the event was originally planned as a “last smoke”. Fortunately, things turned out differently after the elections in Austria and the formation of a coalition between the Austrian People’s Party (ÖVP) and the Austrian Freedom Party (FPÖ), and smoking remains permitted in restaurants in partitioned adjoining rooms. However, the planning of the event was already well underway by then, so the organisers decided to go ahead with this luxurious black tie big smoke. 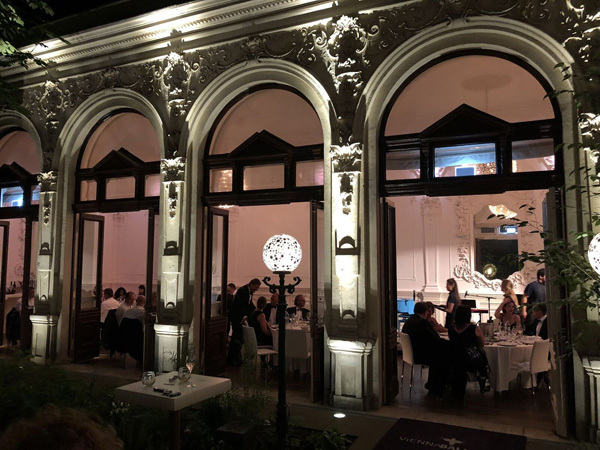 Around 100 aficionados wearing tuxedos and evening gowns, tobacconists and press representatives from Austria took up the invitation to the listed Vienna Ballhaus, which formed the magnificent backdrop for this event. Among them was the Cuban Ambassador to Austria, His Excellency Mr. Juan Antonio Fernández Palacios. 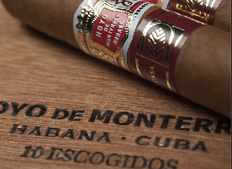 The exclusive partner for the finest cigars was the official Distributor for Germany, Austria and Poland – 5THAvenue – with an exquisite offer of Trinidad Vígia , the new Quai d’Orsay No.54 and the Montecristo Dantés from the 2016, which were enthusiastically received by the participants. Guests also enjoyed oysters, fresh strawberries, Perrier-Jouët champagne and Havana Club rum and cocktails. The Swiss luxury watch retailer Zenith, an exclusive cooperation partner ofwas also there. However, the focus was not just on shared enjoyment, but also on improving living conditions for children in Cuba. To this end a raffle was held in aid of the children’s charity Camaquito and its deputy chairwoman in Austria, Katja Gnann, presented the organisation’s concerns. The witty compere was legendary entertainer and singer Mat Schuh and the enjoyable evening did not end until well after midnight. The excellent response to the “Grand Cigar” premiere makes a follow-up event next year highly likely.